Quote Reply Topic: club training or course? What is the best way of learning to sail a dinghy? I have experience of sailing larger yachts, 32ft and larger, but no experience on a dinghy. Should I join a club and learn with them or just sign up for a sailing course and learn that way? As I am on the isle of wight I notice a lot of clubs around, any thoughts on them or how to pick a good club? Many clubs run the formal courses these days, so you can do both. If the club is an RYA Training Centre they will follow the standard syllabus & method; they're inspected annually, so you can be sure it's all fine. 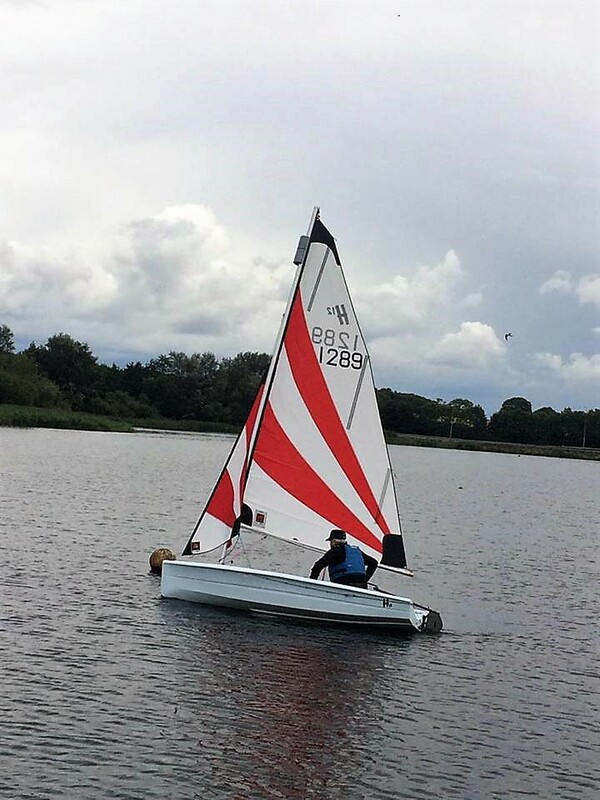 Many clubs seem to require you to become a member (in return for lower course fees), so you should have opportunities to practice sailing outside the course as well. I would say join a club. The extra benefits include boat storage, safety cover while you are finding your dinghy legs (sail at weekends when there is usually racing and therefore safety cover until you are confident) and like minded individuals who will give you informal help over and above the courses. After sailing single handed offshore for over 20 years I got into dinghy sailing through my son and granddaughter over a year ago,your biggest mistake is thinking you will pick it up quickly, the only connection is wind and sail, I could plan to tack 5 minutes ahead before now I have seconds. So the sailing/handling of a larger yacht is completely different from dinghy sailing? So should approach it as complete novice and ignore previous experience? Or should I look for a small keelboat? Drascombe etc? The principles are the same. You won't need to start at the bottom, especially as you are thinking of sailing something stable. Sailing a boat like a Topper would be a big step in terms of space and stability. Jumping in a Wayfarer to learn would be no trouble at all. Yes, you have to remember there is no keel, and you have to balance things, and you may have to learn to use a tiller extension if you haven't before, but these are small things in the great scheme of sailing. The feel of things, the wind awareness, even the 5 essentials that the RYA bang on about, which are in fact just sailing common sense, are just as true for a dinghy as a yacht. If it was me I'd just find a vaguely suitable boat on a non-challenging day and venue with some loose supervision on hand and have a go. You may find jumping into a Topper something that just comes naturally or you may struggle to keep it right side up but either way you'll have a better idea of where your abilities lie. Suitable boats, say solo in a Topper or Laser Radial or accompanied on a GP/Wayfarer etc. F2/3 or less on an inland or very sheltered bit of water and either accompanied by a competent sailor (bigger two hander) or with a safety boat around the vicinity (sailing centre or club on a race day). I suspect a centre for your first forays would be best and, while they are unlikely to hire out a Waybarge too you they will almost certainly send you out in a Topper for an afternoon and keep an eye on you. "Dinghy Sailing - How difficult can it be?" My famous last words over ten years ago now..
You will certainly meet friendly helpful people, do the course then see what boat you want, if you join a club with handicap racing, members will almost certainly allow you to try their boats.